Doctor Who Christmas Special Make-a-long! To celebrate, I thought we’d make something Doctor Who-y together and count down the 13 days until we meet the 13th Doctor! From December 12th-December 25th, pick a Doctor Who inspired project and start making! Post your progress to Instagram using the “#doctorwhoMAL” hashtag and join us on the Geeky Knitters Unite! Facebook Group too (a link will be sent when you sign up below)! 2 Skeins of Knit Picks’ Felici Worsted in the discontinued Time Traveler colorway, enough to knit the Wibbly Wobbly Timey Wimey Infinity Scarf! 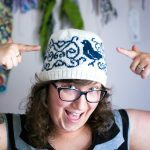 1 Skein of Knit Picks’ Felici Worsted in the discontinued Time Traveler colorway, enough to knit a cool Doctor Who inspired hat! 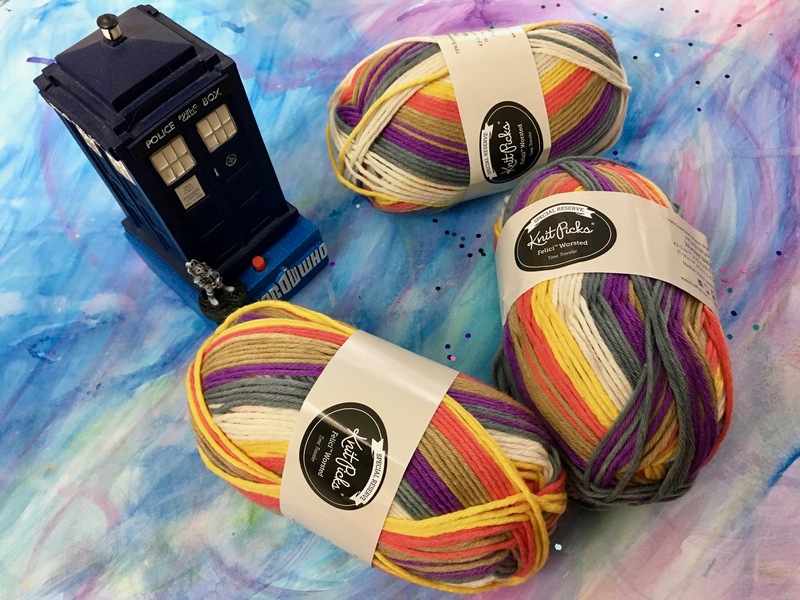 To be eligible for prizes, get a discount on my latest Doctor Who knitting pattern, Doctor Who trivia, and project ideas, sign up for my newsletter below! Previous PostPrevious Live Stream Knitting!